This is the easiest Hybrid Bike tour that we have. This tour takes place in the North of Portugal, a very hilly region with very green environment; this gorgeous bicycle tour mainly runs on bike paths, bike lanes and some dirt roads along rivers and the Atlantic Ocean. The overall difficulty level for this tour is 1, Easy (more precisely, level 1.4 between 1~5). It is recommended for beginners and occasional riders. Minho is one of the most beautiful regions of Portugal. It is very green and there are many beautiful historic evidencies. You can feel this History just looking to the historic buildings that are spread along the way, the historic main squares in each small town, in the local commerce, in the medieval structure of each town that we will cross on a bicycle! 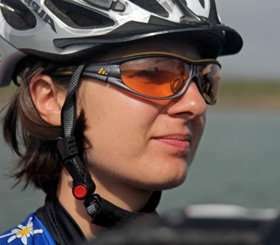 This fantastic bicycle tour must be done with a hybrid bicycle, because we will ride on several bike paths that allow us to discover the green environment that is along the river banks, to enjoy the coolness of the paths during the summer days, to admire the landscape and to experience the History. By the way, Portugal is an independent country since the 12th century and everything started in the north. This is the perfect bicycle tour for anyone that wants to have a very relaxed vacation, but wants to be active doing some exercise. You don’t have to be a very experienced and fit cyclist to enjoy this tour. 10. Feeling a different outstanding atmosphere in each historical town. – Accommodations (6 nights): one 16th century Convent, one 16th century Manor House, one 17th century Fortress, one 4* Design Hotel, one 4* panoramic hotel and one 4* modern hotel. Double bedroom occupancy.